If you’re giving your home a makeover, all you need to do is switch out to some new and improved signature pieces. And if you’re staying away from traditional to modern style, we’ve got the right kind of compilation for you to take a peek at. Check out our quick list of 25 pieces of gorgeous, contemporary furniture and ways for you to incorporate them into your own space. 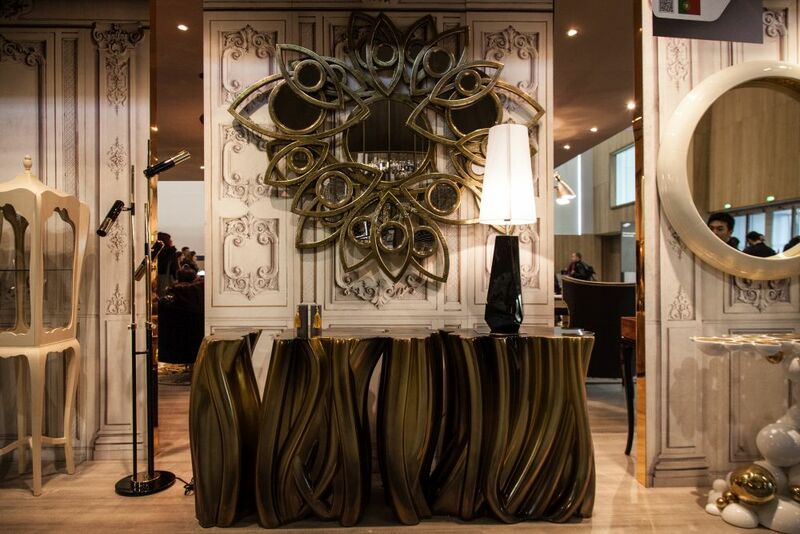 Boca Do Lobo shows off this golden console table. It’s a functioning focal point for a large room and also acts as a modern piece of art on its own. Use it in a foyer or formal sitting room. 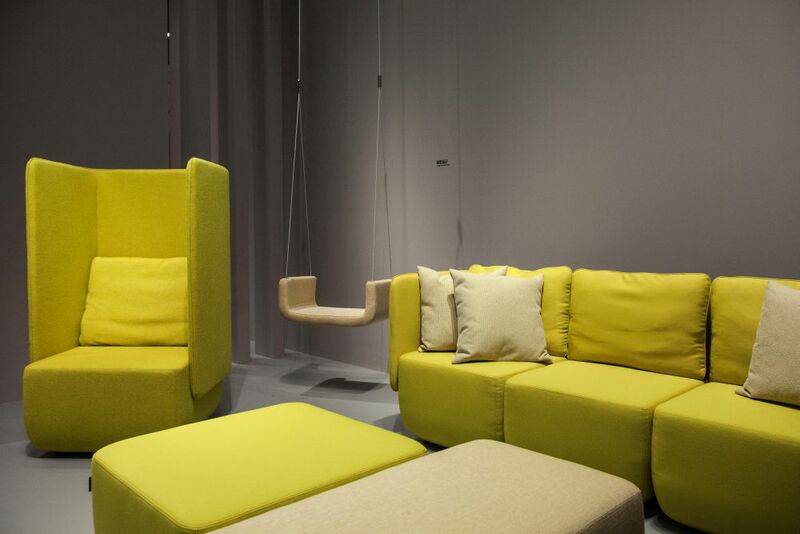 Softline showcases some really chic, straight-edged chartreuse pieces for the living room. An accent chair, sofa, and ottoman come together to create a central, modern focus that’s both stylishly appealing and functional. The color here also contrasts nicely with neutral tones – which is a nice suggestion for those that want a more mellow atmosphere. And then there are those that may be looking for furniture pieces that don’t scream “furniture” upon the first view. 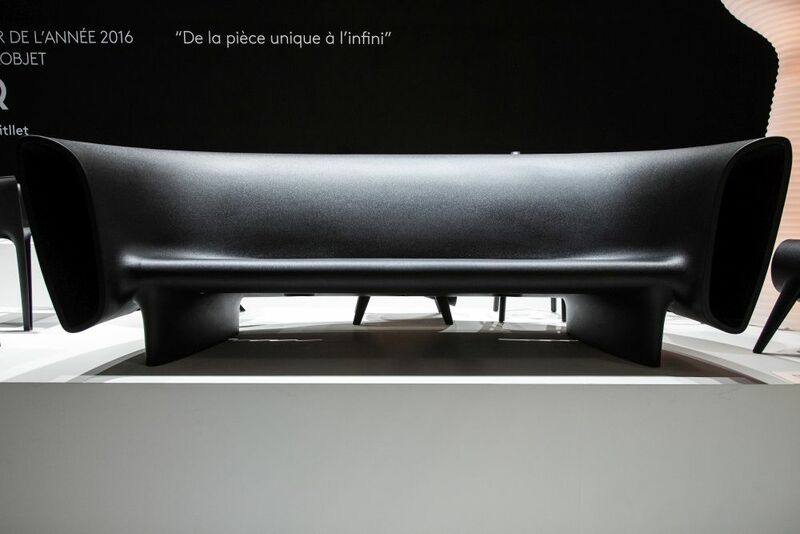 Eugeni Quitllet gives us a taste of that vision with this black sofa design. It’s crisp, it’s futuristic, and it will definitely become a conversational piece for your home. 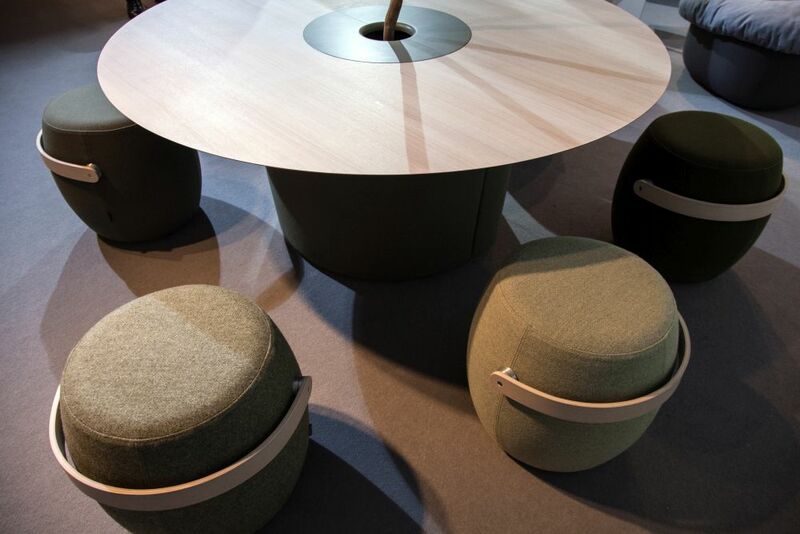 Check out these creative ottomans. 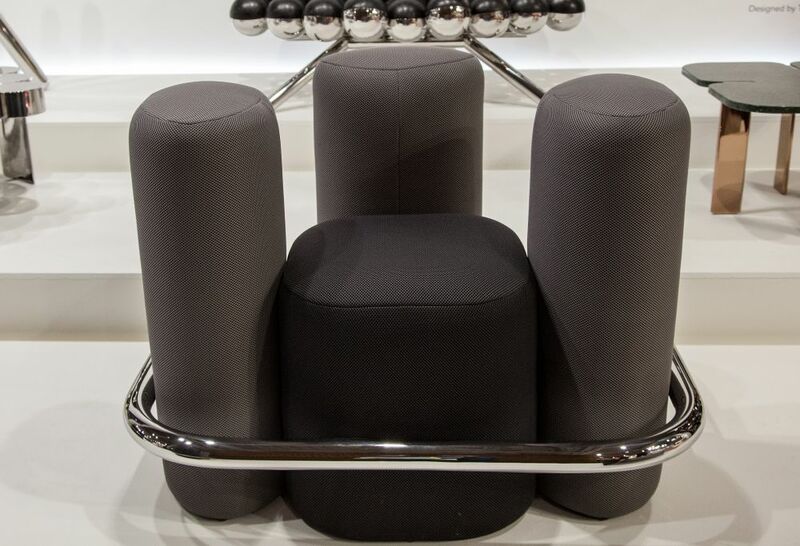 They can double as stools or poufs as well. 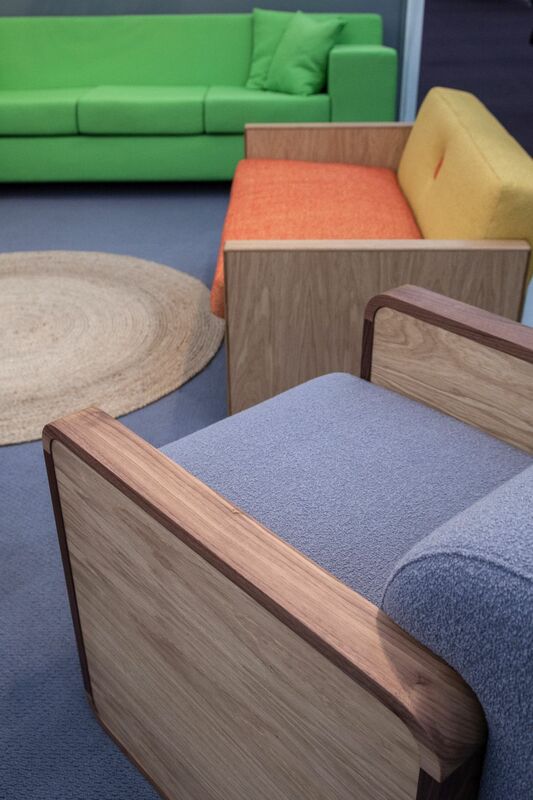 We love mixed material – both fabric and wooden details. 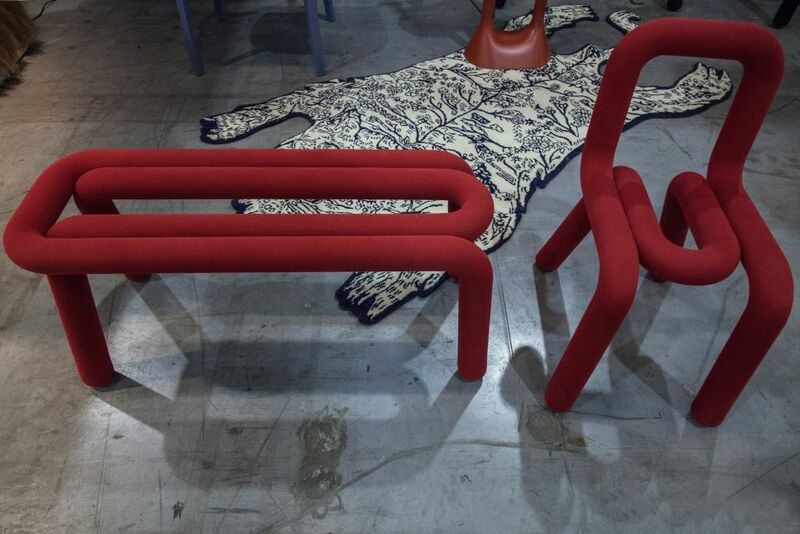 Thanks for featuring these OFFECCT! For contemporary style offset by a bohemian edge, these storage ottomans will definitely do the trick. If you have enough space – a trio would work wonders especially if it’s an area you’d like to entertain in. For more like this, catch details by visiting Dedon. 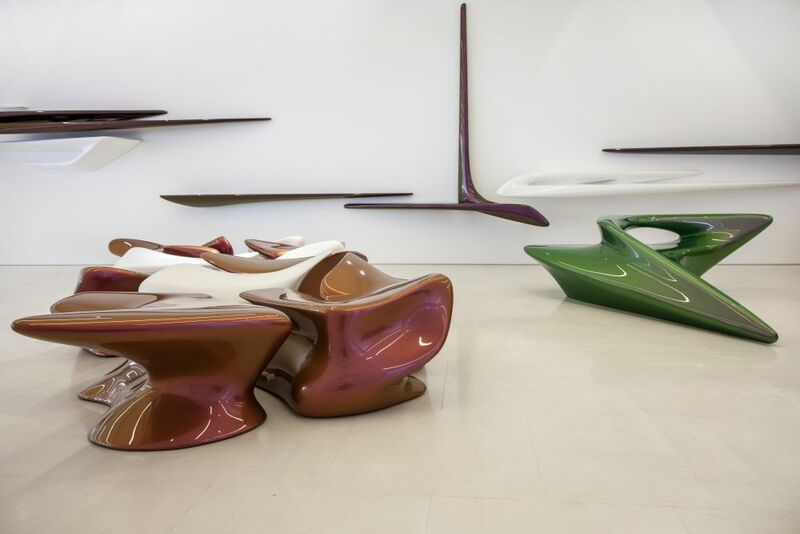 The Zaha Hadid Seamless Collection And It’s Unique Design Language is more like pieces of art than actual pieces of furniture. But that’s the beauty. Are these chairs, are they tables? They can act as both modern art for the foyer or a place to collect other beautiful bits. 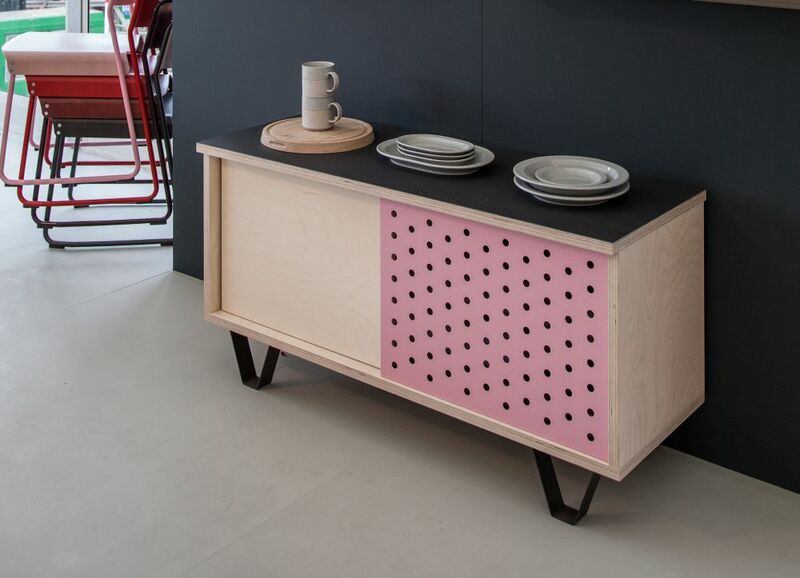 We fell in love with this minimal-style buffet from Very Good and Proper. It has a DIY quality about it that acts a bit more casual and personalized than some of the other designs on the list – and that’s really what drew us to it. The pop of pink makes it especially unique. 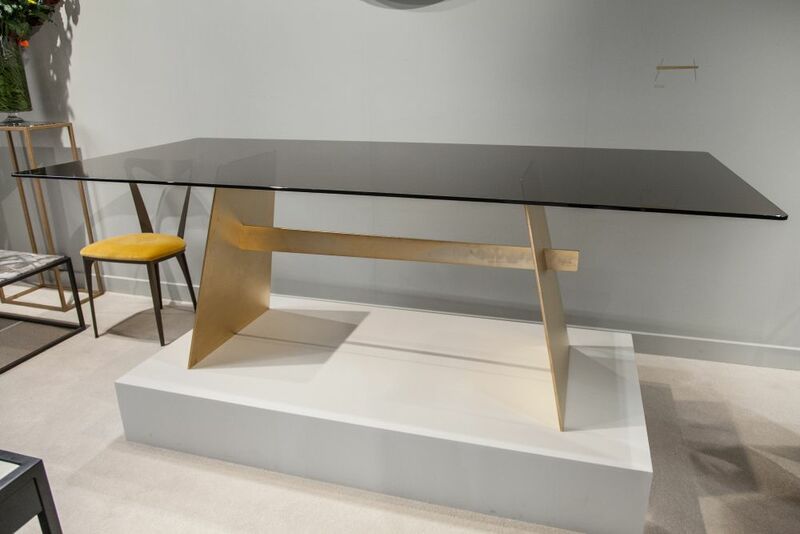 Add a chic new piece to the home office with this desk from Tom Faulkner. Anytime you add multiple materials into one design you’re going to get both versatility and a greater sense of contemporary appeal. We also enjoy the neutral tones here as it’ll be easier to pair with other shades and furniture. 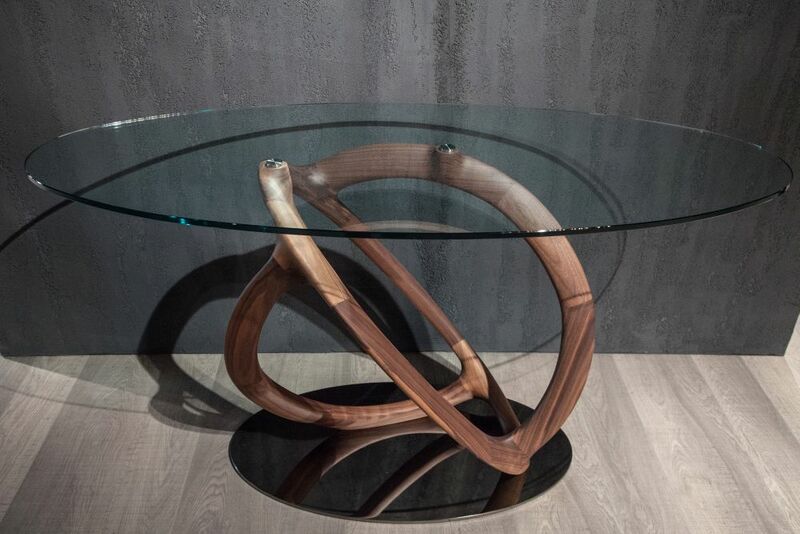 This is the hourglass console table from Justin Van Breda London. The copper-rose gold tone caught our eyes first, making it a more feminine style. But the overall structure is sharp, bold, and slides into the contemporary art vision quite nicely. This would absolutely spruce up a foyer or hallway. 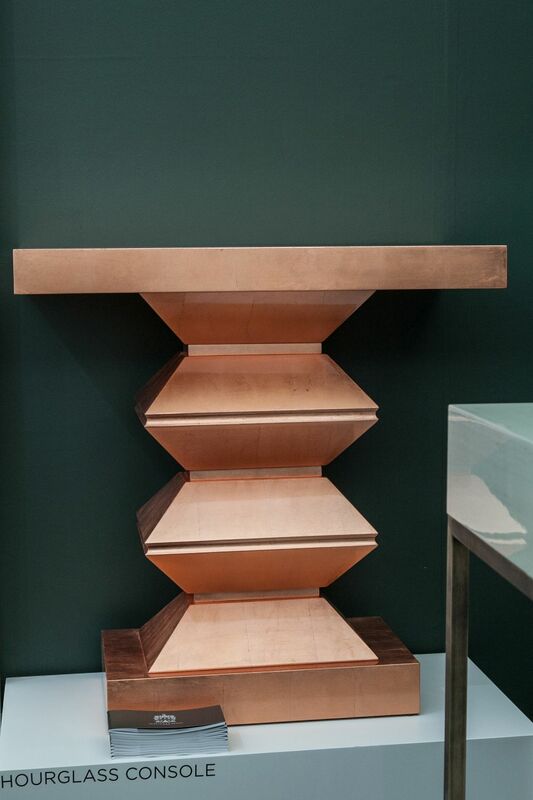 This end table from Ginger and Jagger caught our attention at first look as well. It holds a fair amount of glam that is exciting and creates a textural presence – which is really nice in more simplistic of spaces. Pair this with lighter neutrals or feminines shades. These desks give us a lot of inspiration for what could happen in our own home offices. 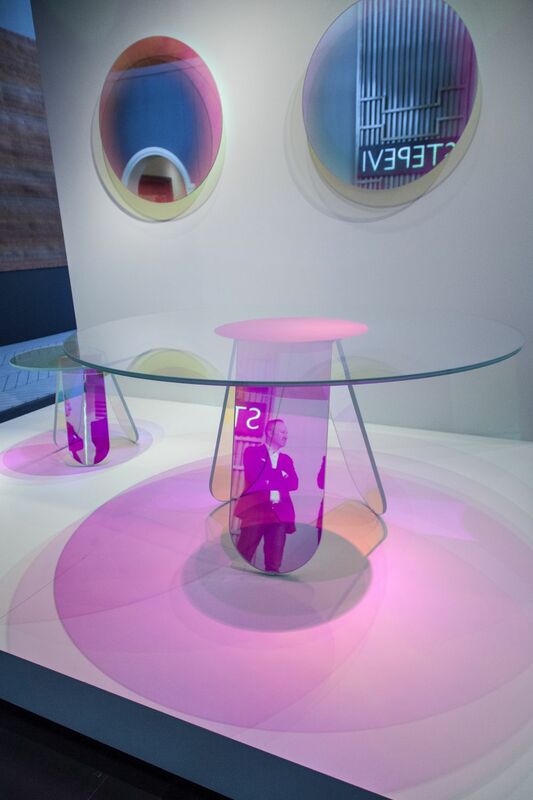 Round, acrylic or glass tabletops could really shake up the expected. We take these beauties from the features of Glas Italia. 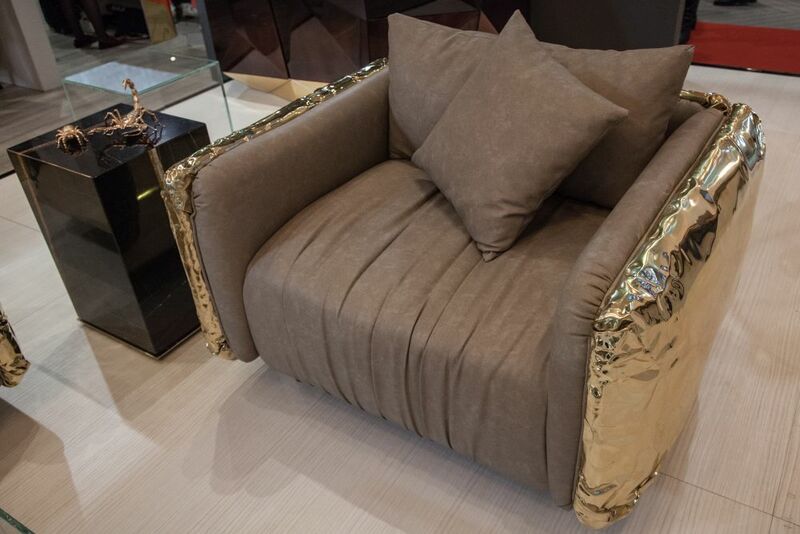 Is anyone in the market for a gold-dipped accent chair? 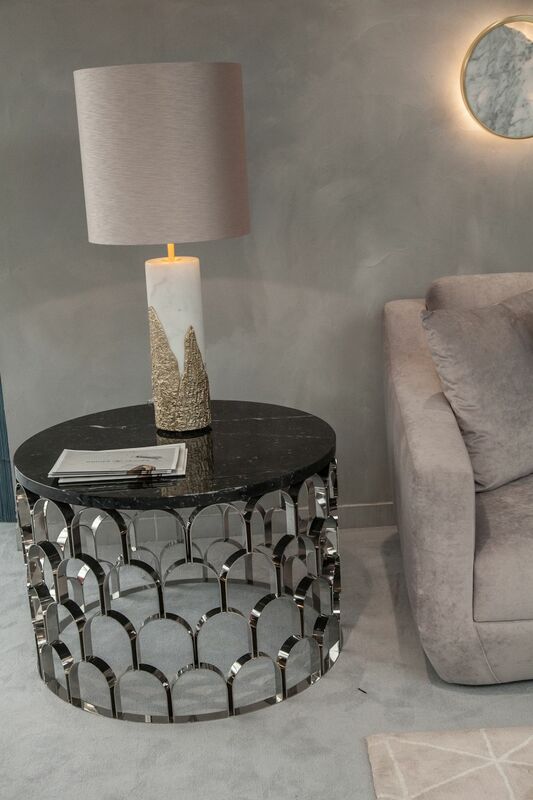 Maybe this one from Boca Do Lobo will strike your fancy. It looks to be quite comfortable on the inside – but quite luxurious from the outside in its golden casing. We’re loving these office chairs from Amura Lab as well. Again, they’re a design that features a mixed material foundation – perfect when creating a modern or contemporary presence in the home. 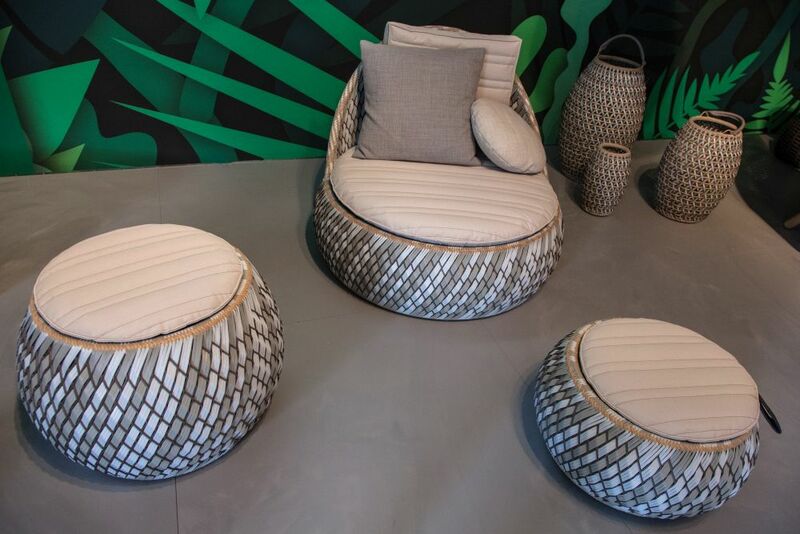 And these would do well in both formal sitting areas or home offices. 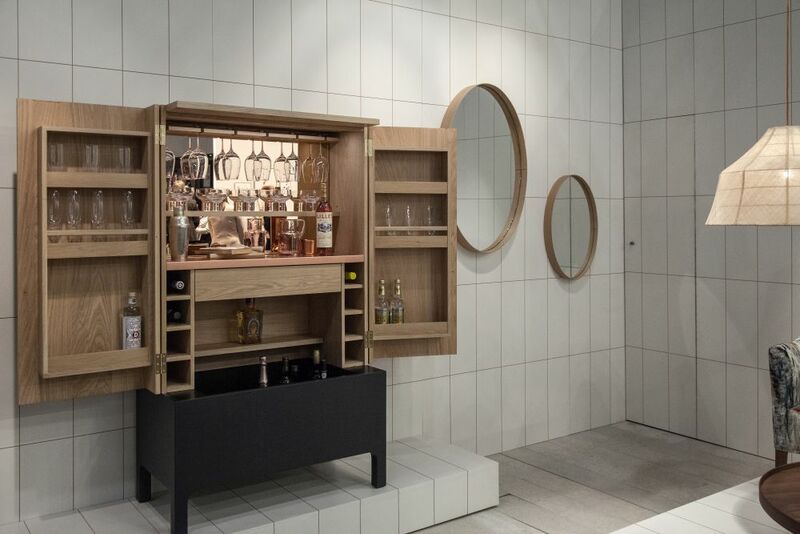 Yes, even your wet bar can handle some contemporary upcycling. 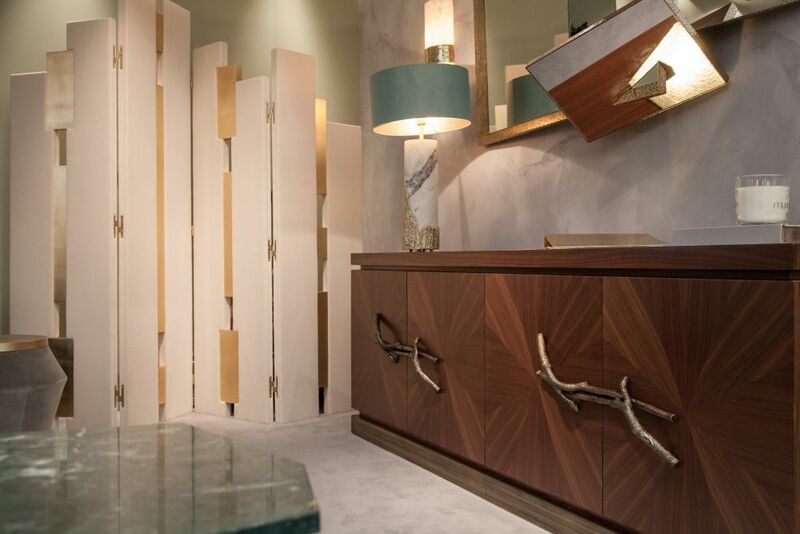 Check out this chic design from Pinch Design. It fits nicely into the minimal trends that we’re seeing as well. Then we stumbled upon this bench and chair from Moustache knowing that its extra-unique appeal would be well-received from our offbeat style lovers. If you really are looking to shake things up in the house, place similar designs in unsuspecting areas like the guest room or hallways. Riluc gives us this contemporary chair and we’re, again, impressed by the fact that it’s both functional and focal. It’s a true piece of art but is still able to be a part of a home’s traditional setup. And this particular design has a more industrial edge than others. 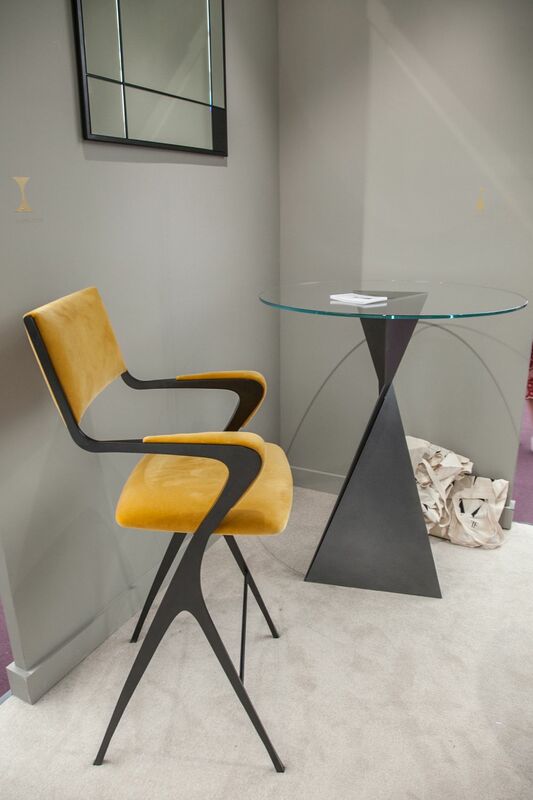 Some may think it’s an upside-down end table, but really it’s super cool accent chair. Thanks to Riluc we’ve found some of the most futuristic and innovative designs to gather inspiration from. This one would do particularly well in a game room or man cave, don’t you think? 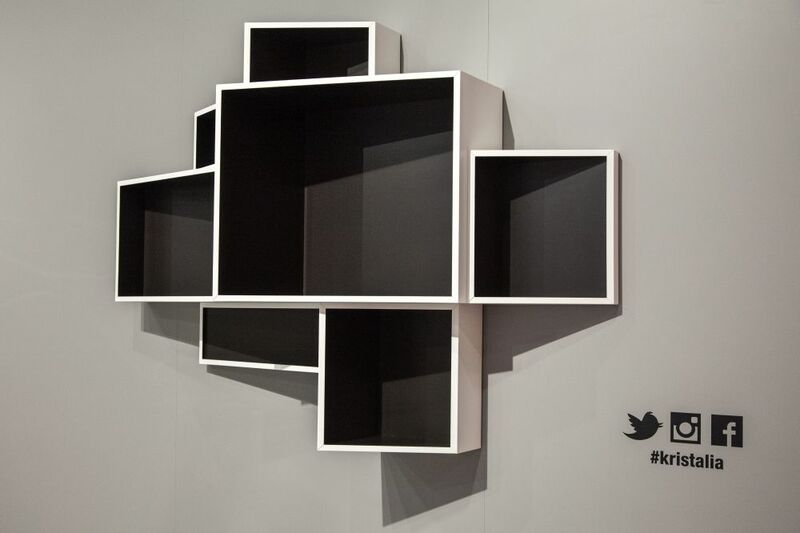 Even the shelving can take a contemporary tone of its own. Check out this design from Kristalia! You can show off your bits and bobbles inside a piece that takes on a modern style. 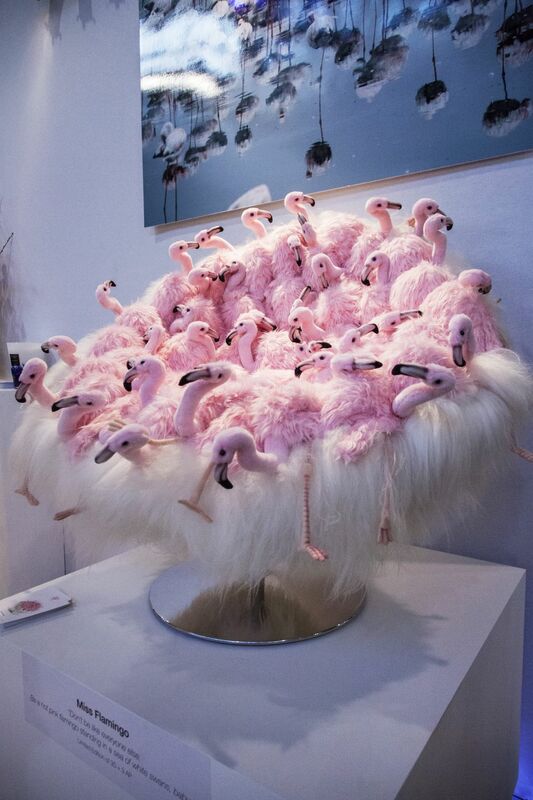 We’re sure you’ve never seen a chair like this one before. AP Collection gave us a lot to choose from so we plunked this innovative cutie to feature. 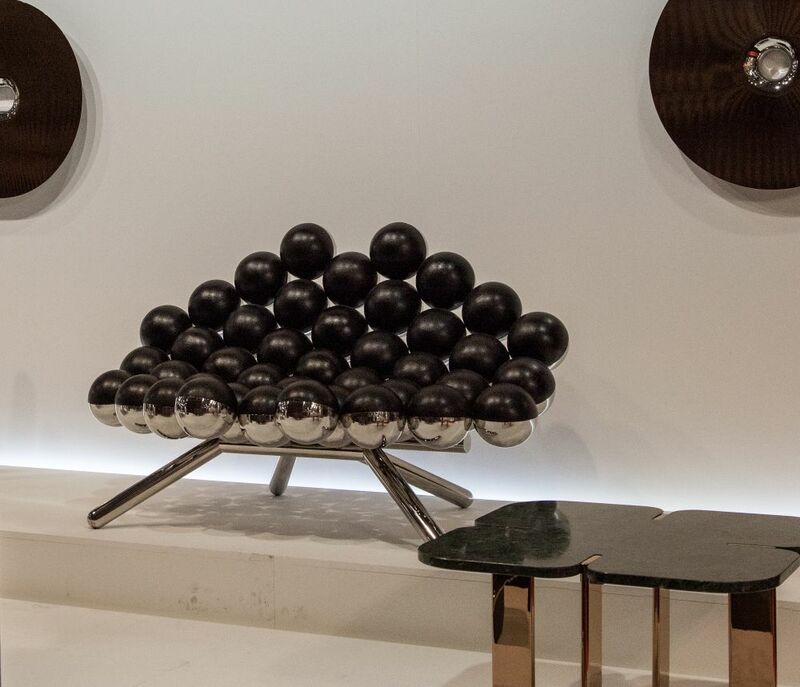 It’s art, it’s excitement – and we have a suspicion it may be comfortable too. Porado piece is a console table that can easily stand on its own throughout any part of the hose. The bottom speaks to the hearts of our artistic loves and provides and beautiful blend of materials as well. When you don’t have a lot of square footage to work with but still want to set a contemporary precedent – you want to think about innovative pieces. 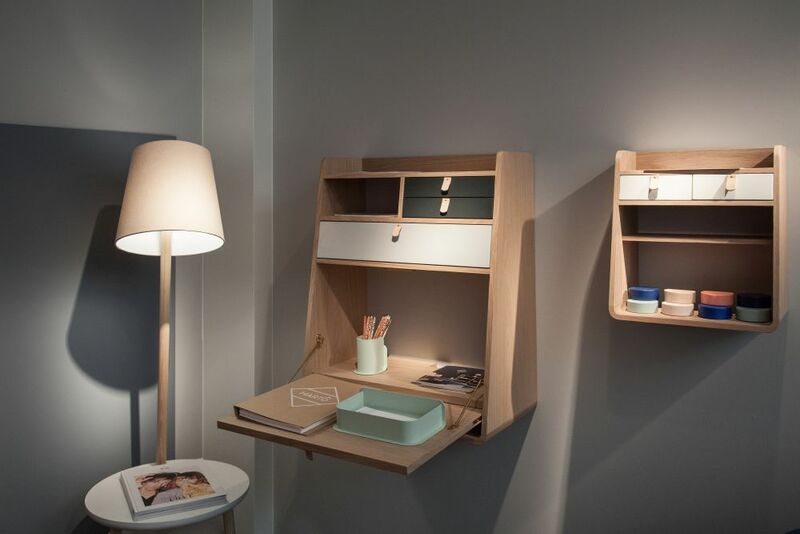 And these flip-out wall desks from Harto Design will certainly do the trick. Just pull up a stool! 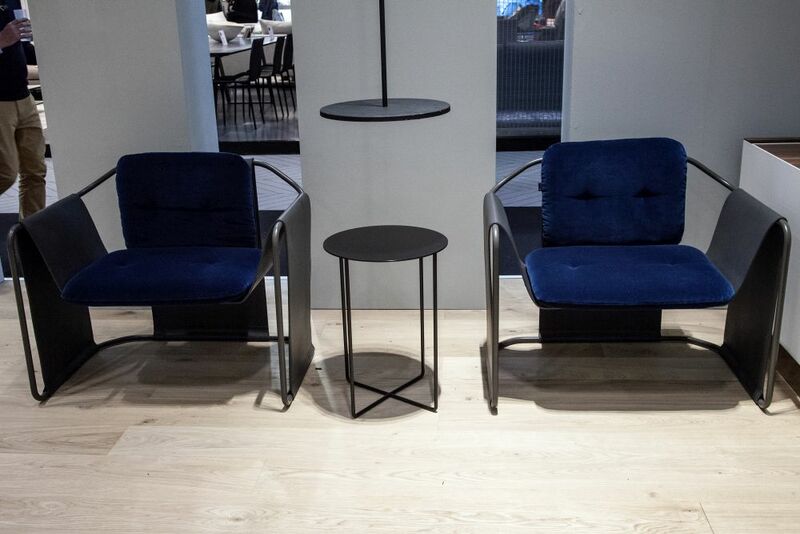 Steuart Padwick showcased some comfy chairs that blend both old and new quite nicely. The shape of these pieces are quite modern but their fabric and color pairings give them a casual, retro edge. 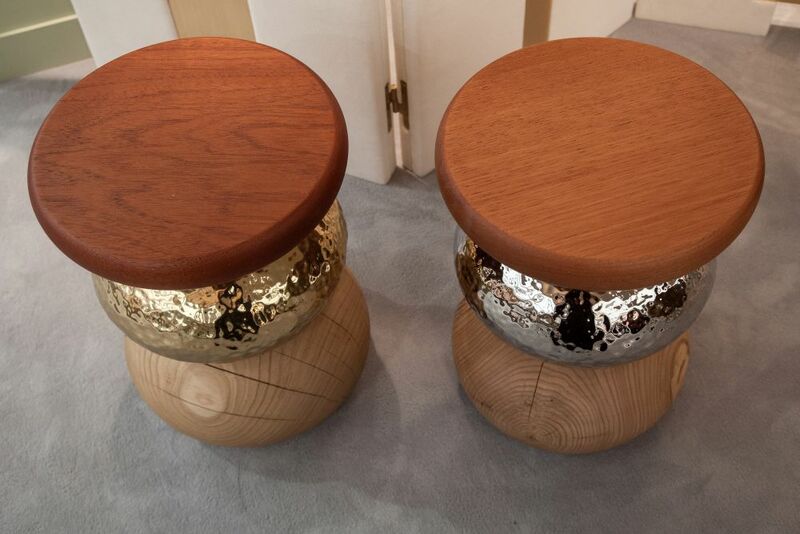 These stacked stools from Ginger and Jagger are a lot of fun too. Metal and wood pairings make it a more casual tone for a family home but still rings true for someone looking to bring in fashion-forward appeal. These would be great as accent seating on a covered porch or breakfast nook. Ginger and Jagger has a large, dining room buffet that we swooned for as well. The hardware brings the piece to life in an artistic, modern way. And it fills the extra-large space up nicely – with both functional and style. And Tom Faulkner leaves us off with this table and chair combination. Perfect for smaller areas, you can sit to do your work or grab breakfast in this little, contemporary nook. The pairing of metal and glass is a timeless choice. The post 25 Pieces of Gorgeous, Contemporary Furniture appeared first on Home Decorating Trends – Homedit.